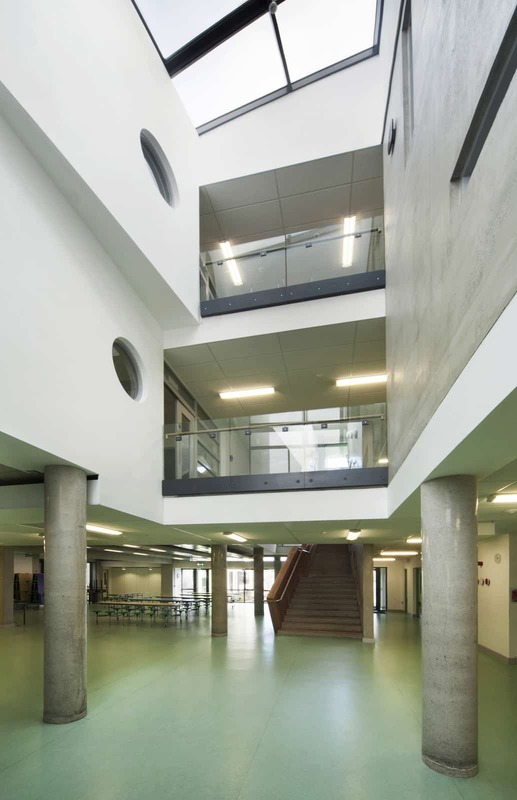 Newpark Comprehensive School – Duggan Brothers Ltd. 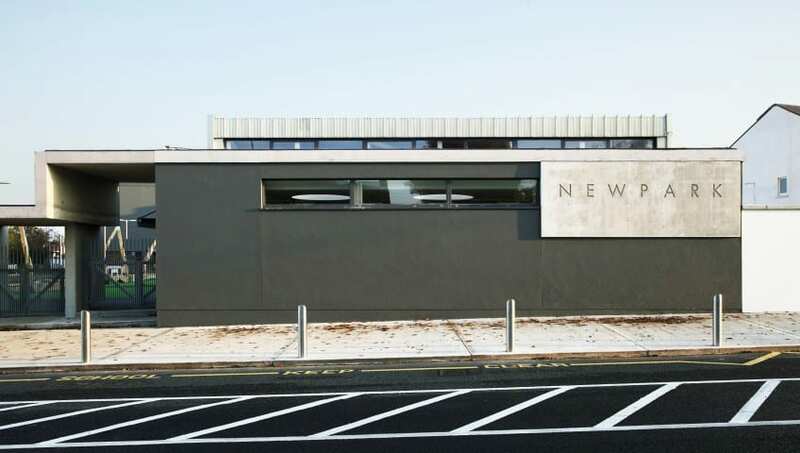 This project for Newpark Comprehensive School involved a new 800 Pupil Post Primary School and Sports Facilities replacing the existing Facilities.This re-development within the existing live Educational campus involved the following phases. 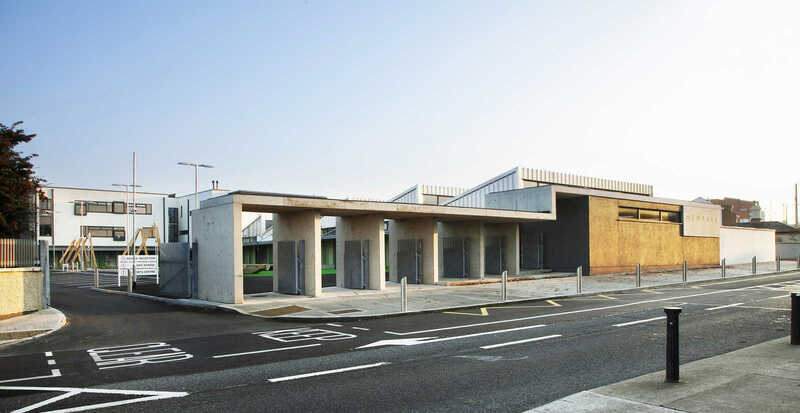 - New pre-fabricated temporary classrooms and associated services / external works. - Demolition of the main block of the existing second level School. - Construction of a new 6,700m2 three storey School Building. The main structure of the new 6,700m2 build consisted of deep strip foundations / pads, blockwork rising walls, concrete floor construction, in-situ concrete and pre-cast concrete superstructure. Blockwork external walls rendered with double glazed windows. Roofs were mostly sloped aluminium system. Painted blockwork walls internally; solid core doors / frames; vinyl and carpet floor finishes, suspended ceilings. The project also involved extensive Mechanical and Electrical and Lift installations. The works to the Sports Centre (Swimming Pool, Gym, PE Hall & Changing Facilities) involved- Replacement of windows, roof glazing and roof finishes. Replacement of heating, hot/cold water services and mechanical ventilation.Replacement of electrical installation. Existing pool equipment retained and protected. Phased external and site development works were carried out involving drainage, landscaping, carparking, roadways. Removal of the Temporary Accommodation took place when main new School Block was completed.